Esprit Photographie: It's raining twins! This beautiful pair makes it my third set of twins in 2 months. So maybe that's not exactly raining twins, but at least sprinkling. All girl sets, come to think of it! 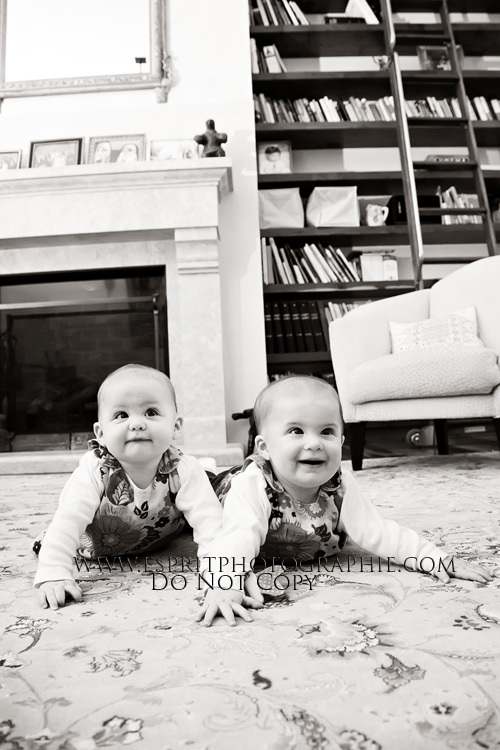 It was such a pleasure to get to see these cherubs again (I got to do their newborn shots!) - now they're six months old and wisely wary of strangers....according to their parents ;))) Either I'm the baby whisperer, or these girls are super chill little beings. Barely a fuss the whole time I was there - no small feat with me clicking and flashing this way and that! now check out those cheeks!